Mumbai: The Bombay high court on Tuesday directed Wockhardt Ltd to clear all dues to its bondholders by August 2012, ending a two-year-long legal battle between a group of aggrieved investors and the troubled drug maker. The court has set a time frame for the repayment of Rs417.47 crore dues, including interest. Any default in repayment will allow an official liquidator to initiate winding-up process against the drug firm. A division bench of Bombay high court comprising justices D.K. Deshmukh and Anoop V. Mohta passed the order. 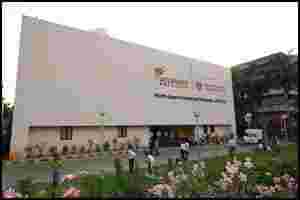 The court was hearing a winding-up petition against the Mumbai-based drug maker filed by a group of foreign currency convertible bond (FCCB) holders, led by Singapore-based hedge fund QVT Financial LP and an overseas unit of rival drug maker Sun Pharmaceutical Industries Ltd, after Wockhardt defaulted on redemption of $110 million (around Rs540 crore today) of bonds in October 2009. In keeping with the time-line set by the court, Wockhardt, which has already deposited Rs115 crore with the court, will have to deposit Rs85 crore by 31 December. The second instalment of Rs30 crore is to be deposited by 31 January. On 31 March, the company has to deposit another Rs100 crore, followed by Rs50 crore in June, and the remaining amount, including interest and redemption premium, in August. The court asked the chief financial officer of Wockhardt to file an undertaking on behalf of the firm regarding the prescribed manner of repayment within two weeks and allowed the firm to complete the sale of its nutrition business to French food multinational Danone. The company sold its nutrition business to Danone for $356 million in August, but the deal was not concluded because it didn’t receive approval from the court and bondholders. In September, the high court asked Wockhardt to give a schedule for repaying FCCB holders. In March, the court had asked the firm to deposit Rs115 crore as security against the liability towards the bondholders. The company submitted a repayment proposal to the court on Tuesday, setting a quarterly payment of Rs60 crore till March 2013, but the court rejected this. Shares of Wockhardt rose 11.59% to close at Rs448.10 apiece on Tuesday on BSE. The exchange’s benchmark index, the Sensex, lost 0.13%. Analysts attribute the rise to the court’s clearance to the Danone deal and the settlement reached by the bondholders. Wockhardt refused to comment on the development. According to the court order, the FCCB holders will have the right to withdraw the money deposited by the company from the court. If Wockhardt defaults on any of the instalments, the official liquidator will initiate liquidation process against the company. A Sun Pharma spokesperson said: “All parties to the litigation agreed for this...and we await money due to us in our bank account." Wockhardt, which had a total debt of about Rs3,800 crore in its books as of December 2009, went through a corporate debt restructuring (CDR) programme put together by its key lenders, including State Bank of India (SBI) and ICICI Bank Ltd.
CDR is a platform where lenders recast the terms and conditions of repayment schedule such as lowering interest rates and expanding the repayment period to help a company repay loans. A CDR package is approved when 75% of the borrowers in terms of the value of the loans agree to the terms and conditions. A few bondholders, including SBI, had also agreed to a proposal by the company for extended repayment terms of the FCCBs. The drug maker ran into financial trouble after it incurred huge losses on foreign currency derivatives and similar investments in 2008. As per the terms of the CDR package, Wockhardt had to sell some of its assets to repay lenders and meet other liabilities. While a section of investors in the FCCBs, mainly Indian banks and a few other institutional investors, reached a settlement with Wockhardt by restructuring the tenure of the bonds they held, a few others, including QVT and Sun Pharma, didn’t agree with the terms. These investors hold $42 million worth of bonds and nearly half of it—$20 million—is held by Sun Pharma’s overseas unit. The court clarified that the money deposited by Wockhardt will only go to the FCCB holders, who filed the winding-up petition, and not towards shares held by SBI in lieu of bonds worth Rs150 crore. “In case the company files an undertaking as indicated...it will get liberty to sell its nutrition business. The deposit made by Wockhardt is independent of the liberty granted to the company for the sale of its nutrition business," Deshmukh said in the order. Wockhardt needs to raise Rs790 crore from the sale of its non-core assets, according to the CDR plan approved by its lenders. The court also said the secured creditors of Wockhardt (lenders who have approved the CDR plan) are “not party to this order" and hence “their rights are not affected and (they) can take independent proceedings" in case they are not satisfied with the ruling.